A total of $1 million, of an $8 million goal, has been raised to fund the project. 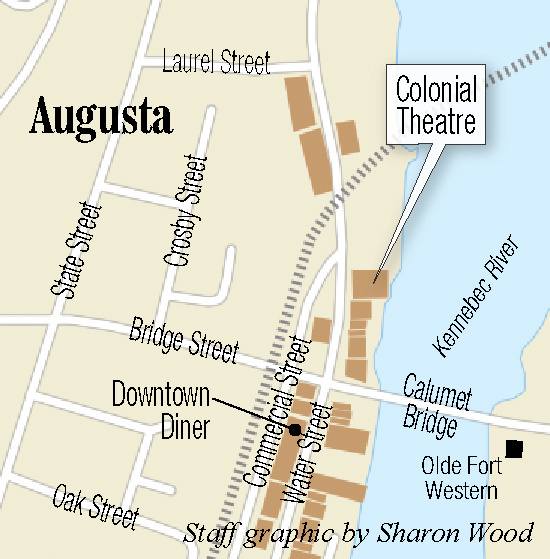 AUGUSTA — The Colonial Theater has gotten another $100,000 boost from the Parkhurst family. The glass company owned by members of a family, which has already donated $200,000 to efforts to save and restore the downtown Augusta theater has ponied up another $100,000 to try to accelerate the project, which so far hasn’t moved as fast as organizers would like. Augusta-based Oakes and Parkhurst Glass, owned by brother and sister Tobias and Soo Parkhurst, made its second, $100,000 donation to the theater. The donation brings the total funds either donated or committed to the restoration, expected to cost about $8 million, to $1 million. That includes the now-$200,000 from Oakes and Parkhurst, and $100,000 from Richard Parkhurst who is the former owner of the business and father of Tobias and Soo. Tobias Parkhurst, president of the theater’s board of directors, said much has been accomplished at the downtown venue, but the project and fundraising isn’t happening as fast as they’d like. He said a priority is to hire an executive director, ideally by the end of the year, to accelerate the pace of the project and fundraising for it. Sam Tippet, vice-president of the theater’s board of directors, said the donation, announced at a fundraising event Friday, was a pleasant surprise. 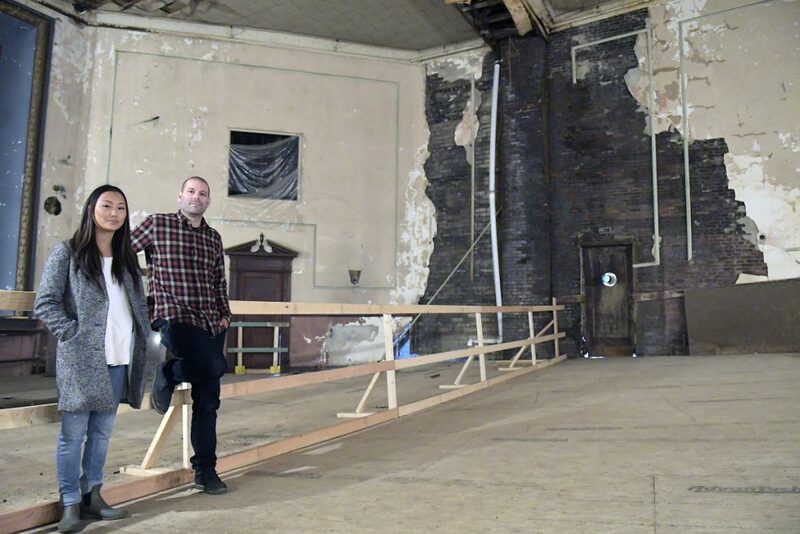 Tobias Parkhurst said the city of Augusta has been good to his family and their business, and they wanted to step up their commitment to restoring the theater they see as a key piece of the larger revitalization of the city’s downtown. Soo Parkhurst said they hope the donation will prompt others to come forward with donations to restore the theater. 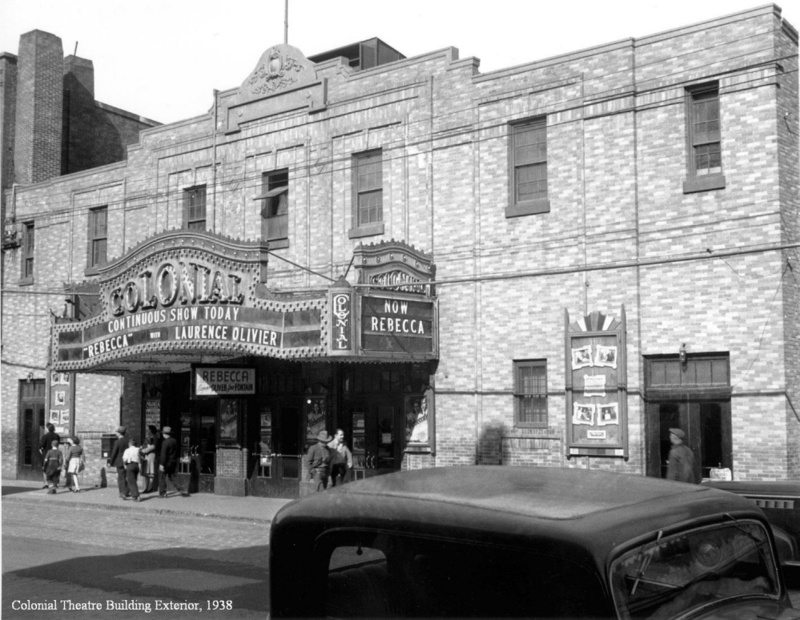 Proponents believe a restored theater able to host movies, live theater and music, and other events that would bring people to Augusta — and its historic riverfront downtown — where they would spend money in local businesses. “This donation speaks plainly to the overwhelming generosity of (Oakes and Parkhurst) Glass and the Parkhurst family,” said Michael Hall, executive director of the Augusta Downtown Alliance. “It’s rare indeed to see a family give so much back to their community, the way this one has, and Augusta is very lucky to have them. The theater was built in 1912 and rebuilt after a fire in 1926, first showing silent films, with an orchestra pit in front of the stage. A sound system was added later and the theater showed movies for many years. It closed in 1969 and has sat, vacant, since. The building was named to the National Register of Historic Places in 2014. In 2016, city officials agreed to commit $300,000 in city funds to the restoration project, but not provide most of those the funds until the project nears completion. Officials anticipate the project will also receive historic preservation tax credits worth around $2 million. Plans for the restoration of the building include a larger stage, a new ceiling, and the addition of a 13,000-square-foot new building attached to the existing structure, to provide space for bathrooms and to make the building accessible to people with disabilities. Organizers have had construction projects completed on the building as funds are raised. The building’s leaky roof was repaired in 2016, and a new floor was put in earlier this year, following a project to remove coal ash and other environmental hazards from the basement of the building. Construction work likely to be among the next priorities, according to Tobias Parkhurst, includes masonry improvements and the installation of temporary lighting and stairs.